Key Difference: The Office Home and Student bundle offers MS Word, MS Excel, MS PowerPoint, and MS OneNote. This package is also the cheapest package out of all three. The price from the 2010 Student package ranges between $100 and $150. The Office Professional offers all of the above including MS Access, MS Outlook and MS Publisher and the price for the bundle is between $350 and $500. Microsoft has bundled its Office software into packages in order to make it easier to purchase the needed software altogether instead of buying it individually. Microsoft currently offers Microsoft Office in three packages: Office Home and Student, Office Home and Business and Office Professional. All the three different packages come with certain programs bundled together. Microsoft Office is a suite of different applications, servers and services that was developed by Microsoft Company for Windows and Mac OS X operating systems in1989. 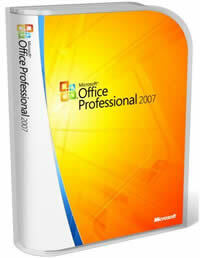 Microsoft Office is wholly owned by the Microsoft Corporation and is developed, tested, marketed and sold by the company. Though initially, MS Office only comprised Word, Excel and PowerPoint, it now offers various different applications and programs such as Outlook/Entourage, Access, InfoPath, OneNote, Project, Publisher, SharePoint Workspace (formerly known as Groove), Visio, Office InterConnect and Office Picture Manager. Microsoft Office is most commonly used in order to create and read documents, create presentations, database program and email software. The Office Home and Student bundle offers MS Word, MS Excel, MS PowerPoint, and MS OneNote. This package is also the cheapest package out of all three. The price from the 2010 Student package ranges between $100 and $150. The Office Home and Business bundle offers MS Outlook in addition to the ones that are listed above. The price of the Office Home and Business bundle ranges in between $200 and $280. The Office Professional offers all of the above including MS Access and MS Publisher and the price for the bundle is between $350 and $500. Microsoft Word is the most commonly used software in order to create documents. The Excel is a spreadsheet that can be used for calculation, graphing tools, pivot tables, and a macro programming language called Visual Basic for Applications. PowerPoint application is used to create presentations, while OneNote is a free-form information gathering and multi-user collaboration. Outlook program is an e-mail based program which helps maintain e-mail and calendar dates. Office Access is a database management system that combines the relational Microsoft Jet Database Engine with a graphical user interface and software-development tools. Microsoft Publisher is an entry-level desktop publishing application placed on page layout and design rather than text composition and proofing. The final difference between the two is the free technical support that is offered by Microsoft. Technical support is when you can call a toll free number in order to fix whatever is wrong with the suite. In case of the Student bundle, technical support is offered for 90 days after purchase, while the Professional suite offers a 1 year technical support.